Parents, stick these bad boys in your kids lunch boxes and watch them come home wanting more. A protein rich snack that is packed with omega-3s, some vitamin A and all raw, natural ingredients for a perfect mid-afternoon pick me up. Make it the night before after your kids go to sleep, and it’ll be ready to go by morning. Enjoy! 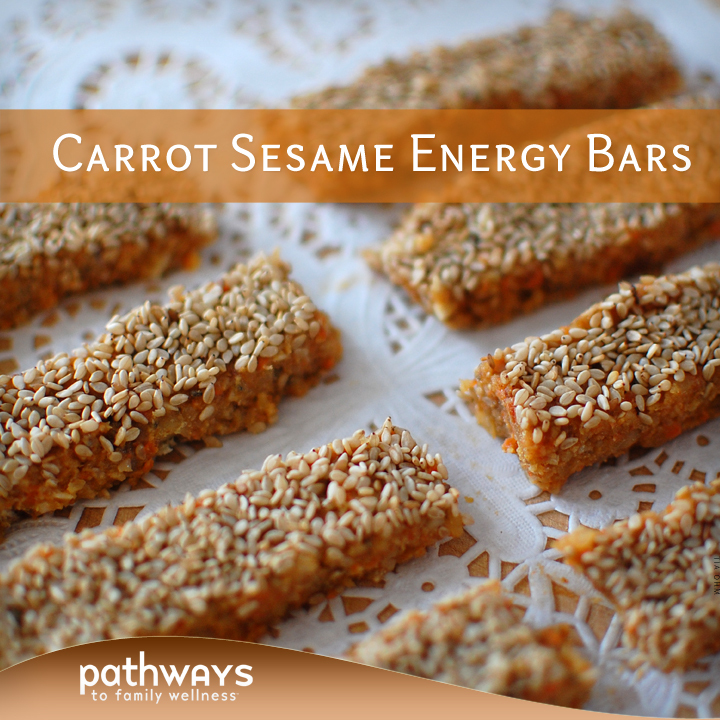 Combine all ingredients, except sesame seeds and carrots, in a food processor and pulse until everything is chopped small. Add the carrots and pulse until mixed well. Press the mixture to the bottom of a baking dish or rectangular container. The bigger the container the thinner the bars are going to be. 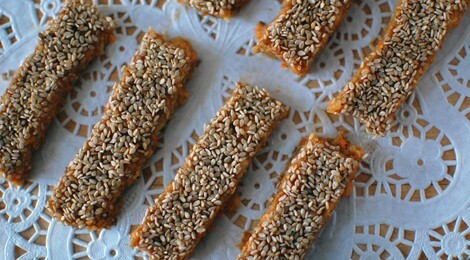 Top with sesame seeds, coating the top. Tilt dish to spread the seeds all over, and dump out the loose ones. Put in fridge to harden; 1 hour – overnight. Cut the mixture into even rectangular shapes and use a spatula to remove from dish. Store in container in the fridge, or in plastic bags to transport.